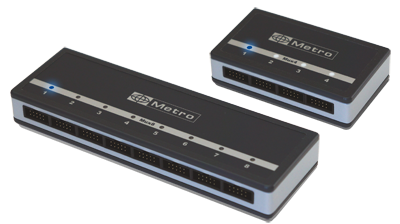 The multiplexer MUX enables the communication of 1 to 8 measuring instruments (caliper, digital indicator, micrometer, weight scale, torque wrench...) from any brand to a PC or similar equipment equipped with a USB port or a RS 232 interface. 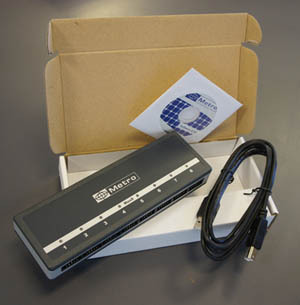 Metro is able to manufacture special cables to connect your instrument to the Mux. For quotation please contact us or your local dealer. Storage temperature -40 °C to +70 °C. Operating temperature : +5°C to +40°C. Instruments having a RS232 output are connected with cables ref 18100. This cable can be delivered ready to use or easily configured by the user in order to fulfill each particular need thanks to the MuxConfig software. 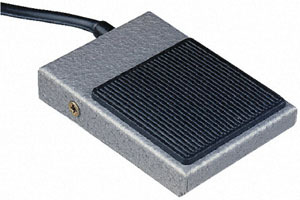 Instruments equipped with an analogue output in voltage or current are connected with the cable ref 189xx : ±5V, ±10V, 0-5V, 0-10V, 4-20mA, ±20mA, 0-20mA. By a software request received on the communication port (RS 232 or USB depending on the model). 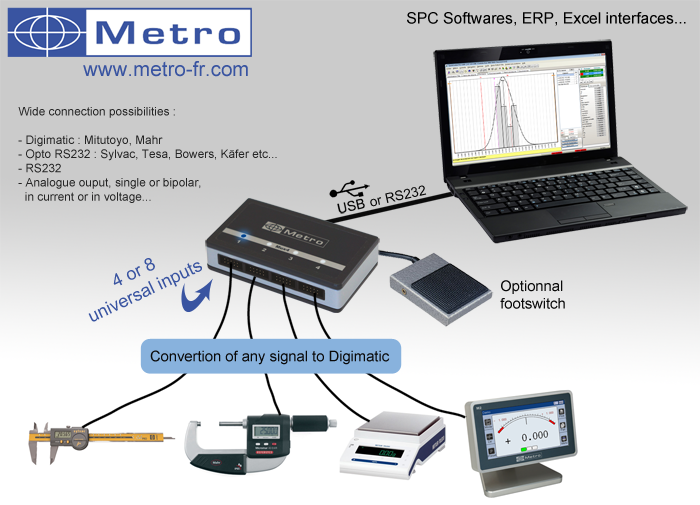 This configuration enables the PC to get the measurements taken from different instruments. The free Winmux software allows to bring directly the data into a spreadsheet software (Excel, Open office...). The Mux are delivered with a USB cable for data transmission and power supply. The box also contains a CD with USB driver, software and user's manuals (English, French and German).